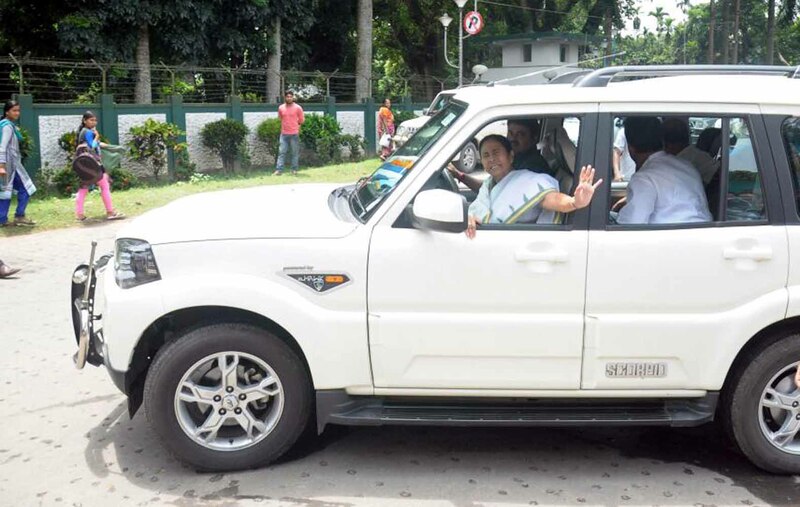 Mamata Took 3 Breaks On NH 34 To Say Party Leaders "Be United"
Krishnanagar/Ranaghat, Aug. 22: Chief Minister Mamata Banerjee today asked party leaders in Nadia to work as a united force to strengthen the organizational support base in a bid to defend the BJP in the 2019 lok sabha election. 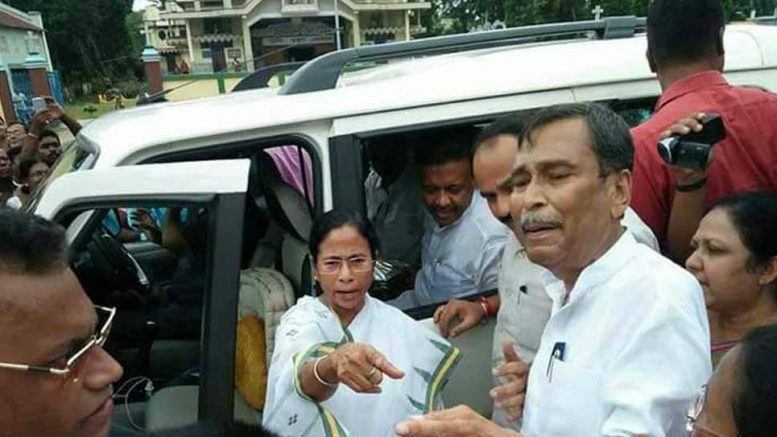 Trinamul supremo conveyed the instruction to the faction ridden leadership in the district before leaving Krishnanagar Circuit house where she spend the Monday night after visiting flood affected Malda district. Chief Minister today took three breaks at different places on NH34 to meet the party leaders and workers on her way to Kolkata when she reiterated to work together as a united force. Arindam Bhattacjarjee and others at the circuit house when she directed them to campaign about the success of the welfare schemes introduced by the state government. 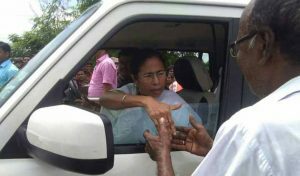 Today while approaching towards Kolkata, Mamata Banerjee took the first break at Santipur bypass point where she talked to MLA Arindam Bhattacharjee, local Trinamul leader in Santipur Kumaresh Ghosh. Later at Ranaghat court crossing she met Trinamul’s Ranaghat Municipality chairman Partha Chatterjee and local leader Pintu Sarkar. She again took a break barely a kilometer away near Begopara Church in Ranaghat where she came out of her car and talked to senior party leaders like new entrant Sankar Singh, Gourisankar Dutta as well as with the newly elected councilors of Cooper’s Camp municipality. Mamata Banerjee stayed in Begopara for about four minutes where a large crowd gathered to have a glimpse of their favourite leader. An effort to address the crowd, however, becomes futile due to malfunctioning of the microphone.